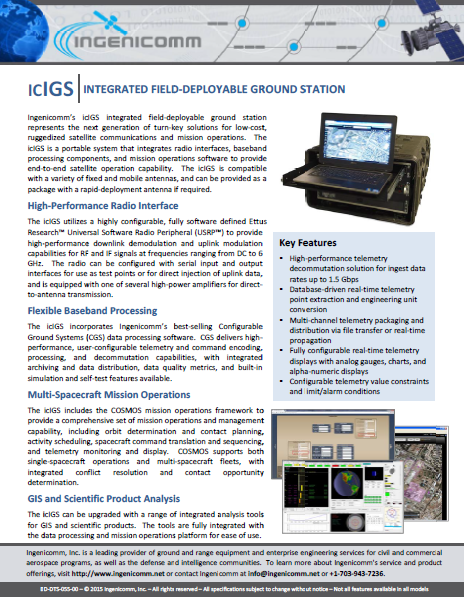 The icIGS integrated field-deployable ground station represents the next generation of turn-key solutions for low-cost, ruggedized satellite communications and mission operations. 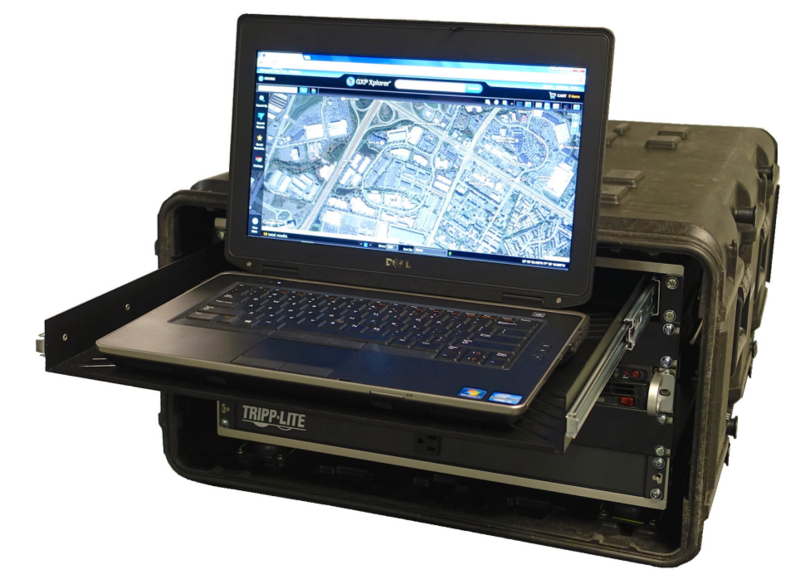 The icIGS is a portable system that integrates radio interfaces, baseband processing components, and mission operations software to provide end-to-end satellite operation capability. The icIGS is compatible with a variety of fixed and mobile antennas, and can be packaged with a rapid-deployment antenna.